Q. What is Laser Genesis? A. Laser Genesis skin therapy is an innovative technologically advanced way to promote vibrant and healthy looking skin in men and women. Now you can have a more youthful appearance by treating those conditions that are typically associated with premature signs of aging and sun damage, such as excessive redness, large pores, uneven texture, and fine line wrinkles. The Laser Genesis procedure has been scientifically proven to produce new collagen. Q. How does Laser Genesis work? A. By gently heating the upper dermis well below your skin’s surface, Laser Genesis improves the appearance of wrinkles through collagen stimulation. Additional heat is generated in dilated capillaries to reduce redness and flushing. Q. What can I expect before a Laser Genesis treatment? A. You will not need gel, anesthetic cream or ice prior to treatment. Before the actual Laser Genesis treatment, you will be asked to remove your make-up or moisturizers and, in some cases, you may be asked to shave the area to be treated. Q. How many Laser Genesis treatments will I need? A. On average, you may require four to six treatments in order to achieve optimal results. Every patient’s condition and needs vary. 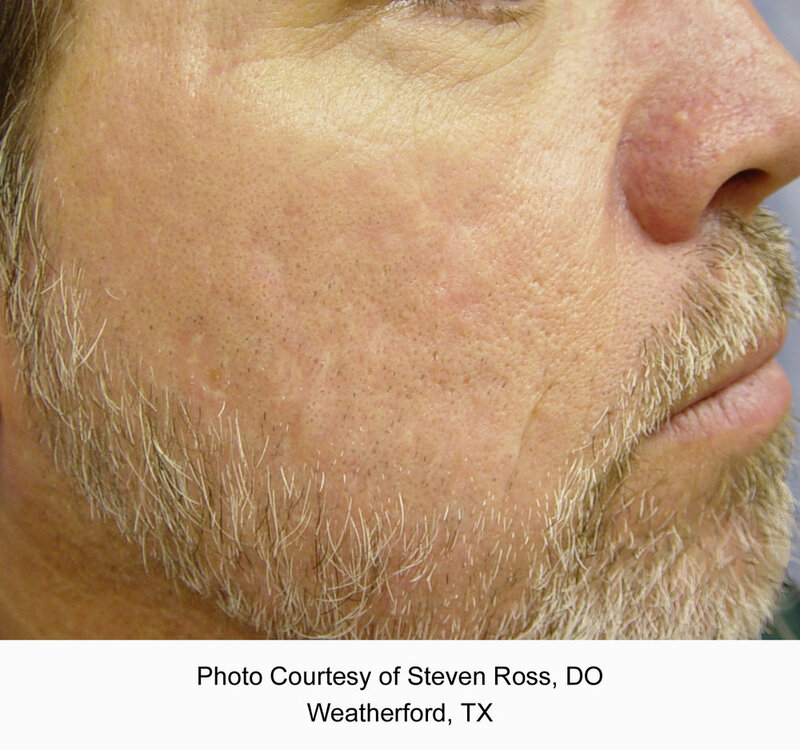 A. Laser Genesis patients report excellent results over their entire face and necks. Additionally, practitioners may suggest this therapy to diminish recent scars on other parts of the body. Q. What does the procedure feel like? A. Patients often describe the treatment as relaxing and therapeutic. You will experience a gentle warming of your skin’s surface during the procedure. You can immediately return to normal activities, utilizing sunscreen if participating in outdoor activities. A. Although most patients report few if any side effects, the most common is a slight redness that disappears within a few hours of treatment. Q. What kind of improvements can you expect with laser Genesis skin therapy? A. Over the course of four to six treatments, Laser Genesis can help restore the skin’s youthful glow and appearance. The individual treatment results are subtle, but the overall effect of multiple treatments can be quite dramatic.